I stumbled upon thousands of shouting marchers while I was walking to my hotel in New York City (where I was attending a press junket for The Northerner) last weekend. The crowds of people were a part of the 2014 People’s Climate March that took place Sept. 21, 2014, and was the largest climate demonstration in history with over 300,000 people in attendance, according to event organizers. While I know the event was taking place, I wasn’t quite sure of its exact location (and I was pretty tired from all the transportation and jet lag). So, the march caught me off guard. Anyway, I was able to snap a few photos with my phone (sorry for the poor quality) before the parade passed by completely. While I know firsthand that New York City is always a dense and busy place (I lived there over the summer), I still have never seen the city quite like this. The streets were filled with seas of people yelling, chanting, marching and clapping to raise awareness for climate change. The streets were blocked off at some sections toa llow pedestrians to cross or vehicular traffic to pass by. To see it for yourself, check out video; more, higher quality photos; and additional information at the People’s Climate March website. It’s finally here! After half of a semester spent reporting and working with The Northerner’s multimedia team, The Northerner Green beat is happy to announce that its interactive recycling package has finally been published at TheNortherner.com. Whether you’re looking to test your ‘green IQ’ or read about ‘the underground world’ of recycling at NKU, make sure to click the photo or link below to be taken to the package at The Northerner’s website. Oh, and be sure to let us know what you think! 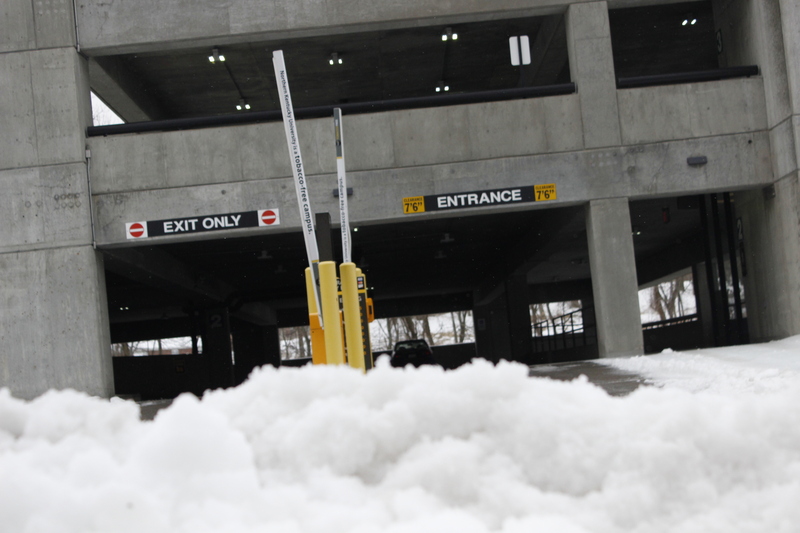 Everyone has heard about the supposed ”not-so-great” parking situation at NKU. Blame it on our commuter culture or the mere fact that we all dread that never-ending walk across the furious wind tunnel that is campus. The closer we can park to our final destination, the better. A parking garage at NKU. This fact paired with the recent onslaught of harsh winter weather and the closure of the gravel lot next to Albright Health Center doesn’t help matters. However you could look at this winter weather in a positive light. If you consider the closing down or delaying of the university over a handful of times already this semester as a good thing, you could see it has allowed us all to leave our cars at home buried in ice –resulting in that much needed time to binge-watch Netflix to our hearts delight. NKU Green Co-Director and University Planner Jane Goode. And staying at home may prove to have more benefits than just this. A survey sent out by Campus Planning Jan. 21 aimed at assessing the carbon footprint of our university’s commuters recently wrapped up and could once again spotlight commuters’ emissions as one of NKU’s biggest environmental impacts. The last time it was assessed, NKU’s commuters accounted for about 42 percent of the university’s total carbon footprint, according to Campus Planning Coordinator and NKU Green Co-Director Jane Goode. This basically means that all of us waking up and getting in our own cars and driving all the way to campus each day is taking a huge toll on our environment– especially as it pertains to NKU’s total impact on the environment. 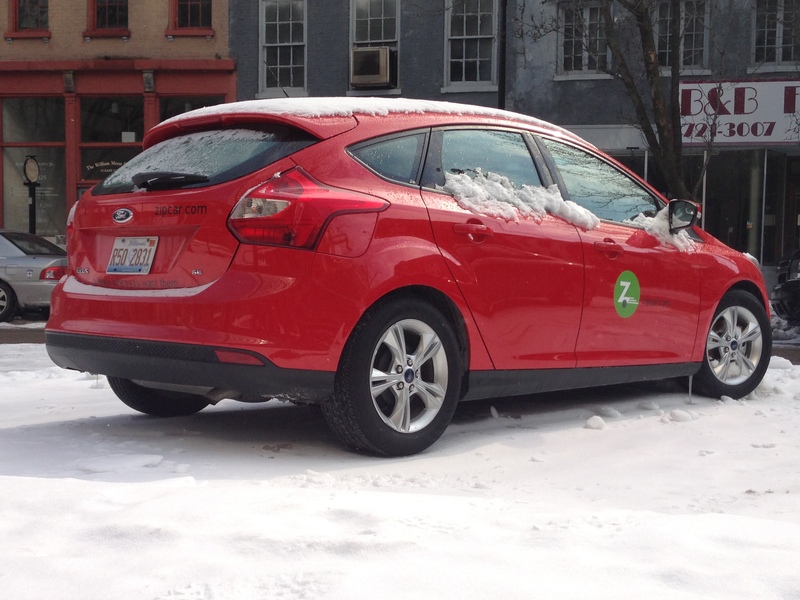 A Zipcar parked in downtown Cincinnati. One solution, according to Goode, could be the use of Zipcars on campus. Zipcars are vehicles that can be “checked out” by people who sign up for memberships. The cars are parked in various places and are accessed via a magnetic card. Usage of the Zipcars is charged at an hourly rate. According to the Zipcar website, the use of these cars cuts down the need for individual use of cars and serves as a backup means of transportation for those who usually carpool or have alternative means of transportation. But the use of things such as these cars are nowhere in the immediate future for NKU. So maybe staying home on a snowy and icy day to watch Netflix is better for us and for our environment– at least until we find a better way to commute to campus that is. Until then, maybe we should worry more about finding environmentally-friendly ways to get to campus, rather than the convenience of parking once we get there. 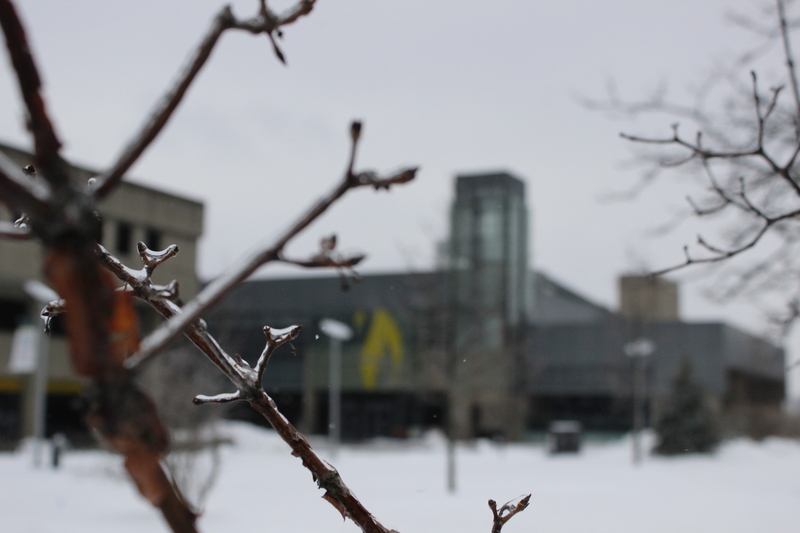 NKU’s campus covered with snow and ice. See more of Kevin’s work at his TheNortherner.com profile. Or, click and download/view his Resume.